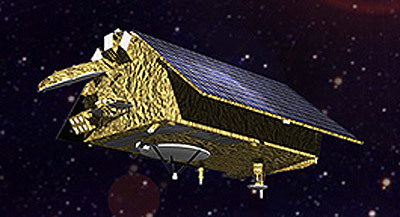 The Jason-CS (Jason Continuity of Service) or Sentinel 6 radar altimeter mission is a continuation of the existing partnership for Jason-3 between the US (NOAA and NASA) and Europe (EUMETSAT, ESA, CNES) and industry. Jason-CS, as the reference mission of the Ocean Surface Topography constellation, should ensure the same (or better) level of performance as earlier Jason series. The spacecraft will be based on a platform derived from CryoSat-2, but adjusted to the specific requirements of the Jason-CS mission and specific orbit. The orbit will remain the same as the earlier Jason orbit - non-sun-synchronous, 1336 km, 66° inclination. EUMETSAT is leading the system definition and is responsible for the Jason-CS ground segment development; operations preparation and operations of both satellites, and will co-fund the recurrent Jason-CS-B satellite, together with the European Commission (EC). ESA is responsible for the development of the first Jason-CS-A satellite; the prototype processors; delivery of the LEOP services, and the procurement of the recurrent satellite on behalf of EUMETSAT and the EC. The EC co-funds the recurrent Jason-CS satellite with EUMETSAT and funds the operations of Jason-3 and both Jason-CS satellites, including the LEOP service for the second Jason-CS-B satellite. NOAA provides the launch services for both Jason-CS satellite; US payload instruments and ground segment support, and will contribute to the operations. radio-occultation instrument based on a Tri-G receiver, provided by NOAA. Airbus has won in May 2015 a contract to build the first Jason-CS satellite.